Isacord and OESD have arrived! 100% polyester Isacord is the thread of choice for maximum productivity and the highest quality embroidery. It's also excellent for free motion quilting. At nearly twice the strength of rayon thread, Isacord is the smoothest running and most reliable polyester thread produced. It has been engineered from the finest raw materials to provide just the right amount of elasticity to allow for high speed running without looping or puckering while virtually eliminating thread breaks. 1,094 yard spools feature a unique snap down base for tidy storage. And the price is great . . . only $6.25 per spool. Check out our new display at the shop. 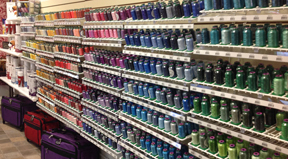 We have all 423 thread colors and a wide array of OESD stabilizers and other essentials for machine embroidery. There is still space in this popular class! Guest teacher Ila Starks has graciously agreed to teach Janet's Tote for us again, but we’re doing it a little differently this time. Instead of a lot of cutting homework, we’re making this a two-day class so that you can do everything and finish your bag during class. Ila has made . . . well, we don’t know how many of these she’s made, but it’s a lot . . . so she has it down pat. The pattern is well-written and the Janet's Tote makes a wonderful overnight bag. 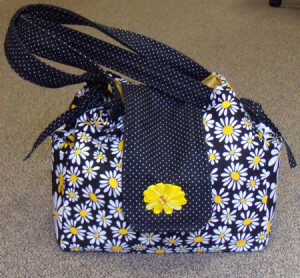 It’s also a great size to transport your sewing supplies and projects. What better way to spend this Thursday and Friday. Call 970-565-7541 today to reserve your space. We are pleased to be participating in BERNINA's national Give and Get Back program. Donate any sewing machine or serger (any brand, any age, any condition) through June 16, 2014 and receive 10% off (up to $500) on a new BERNINA sewing machine or serger. If getting a good deal and doing a good deed isn't enough to entice you, we have more! During this promotion we are offering 0% financing for 60 full months (on approved credit) for BERNINA purchases of $3,000 or more. 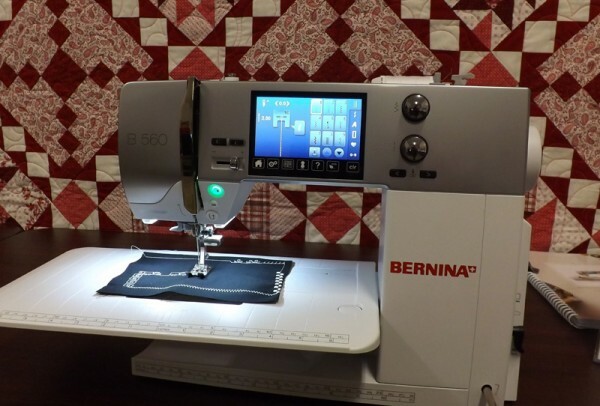 Use your current BERNINA credit card or apply for one while shopping for your new machine. We'll have an answer on your credit application within a few minutes. You can pay off your sewing machine anytime without penalty. We also have 18 month 0% financing available for BERNINA purchases between $1,000 and $3,000. This offer ends on Monday, June 16. Don't miss out! Join us for our regular Third Thursday Demo on June 19 at 12:30 p.m. when Cyndi Foote will demonstrate how to make mitered borders. Great to know when you have a beautiful border print or stripe that you want to use in a quilt. Bring a friend to Third Thursday Demo and stay to sew for the afternoon if you’d like. The Southwest Memorial Hospital Foundation awards scholarships each year to deserving students who are pursing careers in a variety of healthcare fields. This year they were able to give six area students $2,000 each to help pay their educational costs. The Foundation will be holding a fundraiser this coming October called "Made in Montezuma." More details on the event later, but one feature will be a live auction to raise money for the scholarship fund.